The Clothes Show in association with Alcatel will return to the NEC Birmingham from 2-6 December 2016 with a new, exciting line-up of fashion, beauty, live music and industry experts. Whether you’re looking to update your AW16 wardrobe, discover fresh new music, find inspiration to kick start a career in fashion or meet industry experts, prepare to immerse yourself in Britain’s largest fashion and beauty festival, where you’ll find all of this and more. Renowned for discovering talent across its 27 year history, The Clothes Show is recognising and celebrating the talent of young people within the music industry. 2016 will see the launch of The Clothes Show Discovers – a search to find a male and female artiste who will become the headline acts in the iconic Alcatel Fashion Theatre, in association with Capital FM. Take a seat to watch the newly named catwalk show, Rock the Runway, which will bring together a fashion-meets-music performance with over 40 models and dancers alongside the newly discovered music acts, in what is set to be the most breath-taking show yet. Trend presentations from high street favourites, compiled by ITV’s fashion presenter, Mark Heyes, will offer an insight into AW16 must haves, plus a host of well-known faces will appear in the theatre each day. TV’s brightest rising star, Laura Jackson, will kick-start the first day on Friday 2, and presenter and fashion icon Laura Whitmore will be present ‘Rock The Runway’ in the Alcatel Fashion Theatre on Sunday 4! TV favourite, Jamie Laing will return on Monday 5 and Tuesday 6 December plus you can catch Joey Essex doing exclusive giveaways in the Alcatel Fashion Theatre and appear in the Paparazzi Pen on Friday, Saturday, Sunday and Monday. Shop in the Boutique Boulevard, where you will find pop up stores from the likes of Olive Clothing, Sugarhill Boutique, Lola and Grace, Leia and Lavish Alice. Fashion-forward collections from Oasis, Maniere De Voir, South Beach, Claudio Lugli, Adanola, Pretty Lavish, Gymshark, In Love With Fashion and Shoe Embassy will add to the line-up while the Designer Outlet will return with the most sought-after labels. You’ll also be able to shop from a host of Hair & Beauty brands including Rimmel, Elemis, Barry M, W7, Lee Stafford, Models Own, WAH Nails, Spectrum Collection, Bomb Cosmetic and Cocowhite. The Discovered Catwalk in association with Cosmopolitan will be hosted by fashion expert Antonia O’Brien and model Annaliese Dayes, showcasing collections from the Boutique Boulevard, exclusive trend presentations, interviews from leading designers, as well as a host of fashion, beauty and health experts plus some of the UK’s leading editors. Blogger Sarah Ashcroft otherwise known as ‘That Pommie Girl’ will take to the stage for Q&A sessions as well as styling her own catwalk show. Award-winning blogger and YouTuber Grace Victory will also be at the show discussing being a dedicated body image campaigner and curvy model in her own right. TV favourite, Mark Heyes, will also return to the show presenting trends from the catwalk to the high street. His ‘Curves with Confidence’ workshop will show you how to dress for your body shape with valuable style advice on transforming basic looks into key trends for the season. 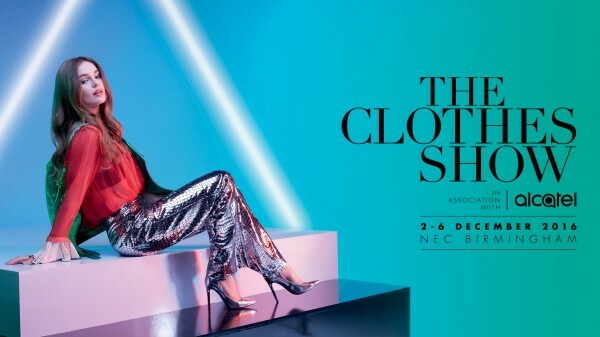 Having launched the careers of many top models, designers and TV presenters over the years including Cat Deely, Holly Willoughby, Vernon Kay, Oliver Cheshire, Rosie Tapner and Erin O’Connor, this year The Clothes Show in association with Alcatel will once again be on the lookout for Britain’s next big names. Select Model Management will be scouting at the show, searching for the next ‘Face Of’ The Clothes Show 2016. The Clothes Show’s Educational Ambassador, Professor Caryn Franklin MBE, has been part of the show from the beginning and continues to inspire the fashion talent of the future through the Educational Programme. 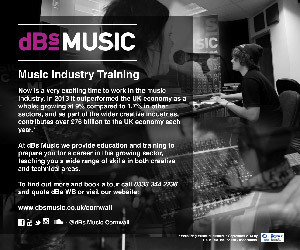 There will be an array of exciting seminars, workshops and awards designed to help get you to where you want to be in the creative industries! Make your day extra special and book a Diamond ticket, NEW for 2016! The package offers a truly unique VIP experience with exclusive celebrity meet and greets for you and your friends. Available on Saturday & Sunday only. 247 Magazine has teamed up with The Clothes Show in association Alcatel to offer a lucky reader and their ‘plus one’ the chance to attend Britain’s biggest fashion and beauty festival. To be in with a chance of winning, simply fill it your details below and if you are picked you will receive a FREE pair of tickets.